This video is a short object lesson featuring a big pipe wrench encouraging a young crescent wrench who is unsure he can make a difference because of his age. The pipe wrench reminds him that the Apostle Paul said not to let anyone look down on you because of your age, but that even young people can set an example for others by their speech, life, their love, their faith, and their purity. How do you talk to kids about the “mushy” topic of LOVE in a fun entertaining way that they will enjoy? Without mentioning Love (or that “s” word) it addresses the same issue – WAITING and not giving yourself away, so you don’t miss out on a great thing later. After the tale the teacher can make the point as it relates to the topic of giving ourselves away to others when it comes to our heart and our love. with a complete lesson on Kidology.org! Lover Man learns that there is more to love than kissing. Love is putting the needs and feelings of others above your own. 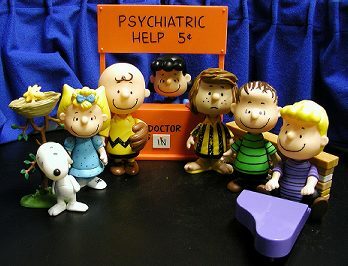 Lucy is giving counsel to the various Peanuts characters – and for each – their problems are the result of their sin or something else their fault. A visit from Moses however reveals that sometimes God is working in the lives of those he loves and he gives examples to Lucy from his life and then of each of the others of how God might be working in their lives. She then invites them back for the Good News that their problems are a part of God trying to teach them something. The 5th and final episode of the Adventures of Panakin Skyhopper jumps 7 years into the future when millions of warehouses of candy were setup to prepare for the 7 years of no candy. Superman / Panakin was surprised when his superhero brothers visit the candy warehouse to get some. He decides to forgive them for what they had done to him and the power of forgiveness is seen. This is the 5th and final video in the 5 part parody series on the life of Joseph. Miss Piggy hosts special guests about reconciliation on her show “Talk to the Pig.” Luke Skywalker and Darth Vader forgive each other. Leah also gets reconciled with her brother and father. Obi-Wan joined the group hug. Darth Vader was so happy and wanted all of them to go to Disneyland. Christmas in Playmobil Land begins episode 2 with Mary and Joseph having a date on Joseph’s new Donkey 4000. Joseph asked Mary to marry him which made them merry. Mary was visited by an angel who told her that she will give birth to Jesus.